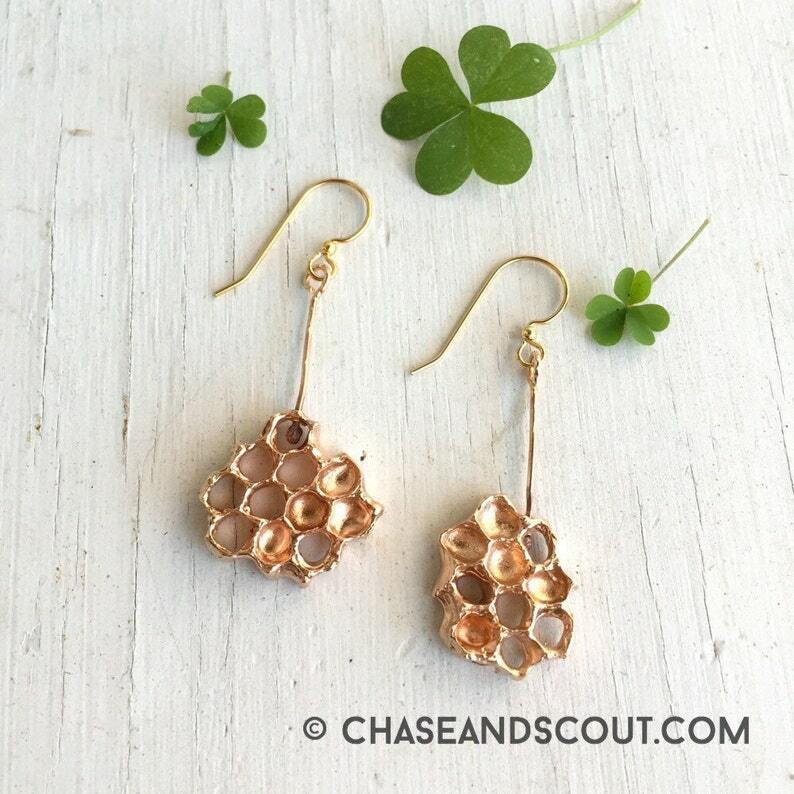 Fine slices of natural honeycomb have been permanently cast in golden artist's bronze for a unique one of a kind pair of earrings. The perfect gift for your honey or lover of bees. These are lightweight and very comfortable to wear. Created using a special casting technique, no two combs are identical and slight variances in comb formation are normal. Earrings are suspended on 14kt gold plated earwires, the combs themselves are created and finished within our Austin Texas studio. Each comb measures roughly 3/4" x 3/4" and looks delicious when worn! See all images. C&S Jewelry has been featured in Austin Monthly, Tribeza, Palm Beach Living, Dark Beauty Magazine, Haute Macabre and other publications. Our designs are available in select galleries within the US. All designs by C&S are entirely created from start to finish, in Austin Texas. Beautiful earrings. Seller was easy to work with.